Price $20.00 includes shipping and handling. Blogger's note: This will be a new format for this blog. People are most curious about which cards appear in synchronicity. I will be focusing on that with less commentary. I encourage readers to look at the cards and see if they see anything else in the patterns. The Reading Room included: Jean Maurie Puhlman, BeckyGraywolf, Ivy Lieberman, Anita Perez, Camille Kea, WalkWithSpirit (Readings by Cary) and ReeNee Cummins. Pamela Phillips-Steele (Steele Wizard Tarot, Wizard's Pets Tarot for Children) joined us for the first time. Cards were heavy in both the fire (Wands) and earth (pentacles) suites. Ivy Lieberman: Fighting continues, but the fighting according to earth time is still short lived. A drop in the bucket....it will balance out when it is no longer profitable...We are fools if we think anyone can change their actions for any length of time. But a woman in power may do the most to create peace. Pamela Phillips-Steele: The ability to remain calm and centered channeling two extreme points of power. Hence the Queen of Wands to answer Ivy's point (she pulled this queen as part of her reading). I see a woman, mature, innovative. Young at heart. Untapped potential. Shamanic decent. WalksWithSpirit saw a female too, but she saw someone very young: I think the woman will be YOUNG, she's maybe a child now. like 5 years old. WalkWithSpirit: Off the bad - stop funding war - you'll not have homeless people or folks fleeing. Ivy Lieberman: I live 5 minutes from Murrieta in So Cal....it's shameful how we can turn our backs on the needy. Balance without strife. Ivy Lieberman: The war left a hope that Saudi Arabia was only happy to fill...others followed. But what is already chaos remained chaos. PamelaPhillips-Steele: Maiden of Wands (potential again for growth and innovative new ideas) 7 of Pentacles (these ideas would have taken time but eventually produced fruit) 8 of Pentacles (learning a new way of life from the Masters). Order is born of chaos as is the way of the Universe. We need a different perspective. Not so personal. But from perspective of Spirit....Chariot, being drawn forward by forces beyond our control. Jean Maurie Puhlman commented on why the way forward was so burdensome: Those in "power" won't leave it alone, they want money. PamelaPhillips-Steele: Personal control. In Spirit, together, we can make a difference. We can see and authentically feel our way through. Ivy Lieberman reminded us that we did have the synchronicity that we see whenwe read the cards. WalkWithSpirit: People need to regroup within themselves and draw from spirit and not look outside for fulfilment. The final question was about the Russian/Ukraine situation. All the readers commented that the world was seeing Putin for what he is. The Tarot stated that the US did not want another war. On the refugee situations: Knight of Gabriel - time to take action! Great passion for a cause. Instinctively knowing just what to do. Are we doing all we can? On the Iraq war causing the problems we are seeing: Card 15 - Decision - release yourself from that which holds you back. A need to detox. Later in the session, the cards talked about how "war weary" the United States is. She also pulled the 8 of Michael "You can be free! make a courageous choice to change your situation. Not seeing things clearly." That nicely summed up the conversation we had with Tarot on how we all can work to improve the situation. the New Age of the 80’s, this community stretches back a couple of centuries in the United States. In the 1950’s and beyond, there were many predictions made about changes that would happen to the planet itself that would cause mast destruction and death. What is interesting is too look back with today’s science and see one thing: the predictions broadly identified change, but may have come up short in describing the exact event. This can be accounted for by looking at the scientific knowledge of the predictor, and the popular science theories of the time. It was, however, amazing to see in a matter of about a month several serious scientific blogs and articles talked about the kinds of changes that had been predicted. And fortunately they were explained in a more modern, less fear-provoking manner. So we wanted to ask Tarot to give us further information on what the planet is going through. The Reading Room included: Jean Maurie Puhlman, Ivy Lieberman, Camille Kea, WalkWithSpirit (Readings by Cary) and ReeNee Cummins. Metaphysical prediction: the poles are shifting. In actuality, this is happening. According to an article in New Scientist: “This drift is due to the changes in the distribution of Earth's mass as the crust slowly rebounds after the end of the last ice age...” However, since 2005 the direction has changed. Science now feels that again the earth is trying to adjust to the melting of the polar ice and glaciers due to climate change. From Tarot, we got that this is cyclical; and that one event feeds off the other. 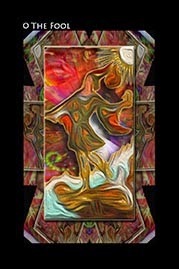 Jean Maurie’s Angel Card (3 Gabriel) warned “prosperity arising from wise planning. Time to take the next step. Optimistic plans that turn out as expected.” So now that we know about this, we need to become activists to make sure these changes are planned for at a global level. comprehend is the fact that the pole shift may be caused more by climate change and not completely tied to the Earth’s magnetic field. This was new information to most of us. Tarot did give a warning about the weakening of the magnetic field and electronics. We should be careful not to completely become dependent on an Internet-based way of life. Important data like health and financial records should be stored on paper as well as online. People would be wise to have some cash stashed in a safe emergency spot so that life could go on if there was an outage. Tarot did not, however, visualize a complete collapse of our Internet infrastructure or other computer networks. Other cards pulled in synchronicity were joyous. We pulled the 3 of Cups. We should enjoy life. We also pulled the Strength card. We all could see the Strength card with two different meanings. First, we are a strong species. We have survived many disasters. But the reading wasn’t complete reassuring. Ivy Lieberman read humanity that clings together, helps each other and stays calm will survive. WalksWithSpirit added “Will we destroy ourselves to go back to the back to the simple days, or have a real wake up? We could also predict that we need to remember the strength of the Earth and the systems that sustain it – including those under the crust of the planet. We need to be ready to help each other when disaster strikes. The final card pulled in Synchronicity was the Moon. The moon affects the tides; it may affect the magma at the center of the earth. The Moon also talks about turning to gut instincts. We need to trust the animals around us to help predict disasters. They can feel what is about to happen. Birds leave, cats hide, and dogs become listless. We can learn; we just need to ask the earth spirit to help us. Jean Maurie pulled the same Angel card twice that gave us this advice: 4 Raphael - seek out other possibilities, look for the magic in life. On the second week of the show involving Earth changes, we looked at two other topics that were making news. First, the earth was hit by a “rogue” planet which fractured off the moon. Second, it was reported that there was a huge ocean in the Earth’s mantle. No, it’s not liquid – it’s locked away in a mineral called ringwoodite (Discovery Science News). When we first began discussing this on Facebook some people wondered if this somehow figured into the “hollow earth” theory that many of had heard discussions about or even read books on the topic. The Reading Room included: Jean Maurie Puhlman, Ivy Lieberman, Anita Perez, Joanne Mathew, Camille Kea, WalkWithSpirit (Readings by Cary) and ReeNee Cummins. Of course, when one thinks of the Earth being approached by another planet, the works of Zecharia Sitchin come to mind. He interpreted Sumerian and Akkadian clay tablets and introduced the idea that there had been a 12th planet in the solar system. Many of Sitchin’s believes feel that the 12th planet had a large, elliptical orbit and drifts by Earth after incredible periods of time. ReeNee talked to many people who claimed that the 12th planet was going to drift into the Earth in 2012, causing the predicted catastrophe (that never happened). The cards did not give an affirmative on the 12th planet being the cause of the moon. Both the Hubble and Kepler Space Telescopes have traced “rogue planets’ wandering throughout space. So it is highly possible that another planet collided with the Earth; hence the cards agreed with scientific fact. “Can we understand” was the real question of the day on U-Predict. The cards indicated that this vast amount of water figured into a system of self-cleaning for the planet. In fact, the cards talked about the bio-systems were self-regulating unless mankind did something to disrupt them. We again this week had the King of Cups in synchronicity, and the Queen of Cups had high synchronicity this week as well. The idea of nurturing was carried over. Again the Reading Room interpreted that we were being told that we are nurtured by the planet, but not protected by forces that are set in motion to bring things into equilibrium. The Queen of Swords was pulled in synchronicity. So the introduces the warrior queen doing what she needs to do to protect her realm. The 10 of Swords was also carried into this show in synchronicity. It is an unpleasant reminder unless we decide to work with the bio-systems we can be swept into extinction. Of the Major Arcana cards, ALL WERE REPEATED IN SYNCHRONICITY FROM THE PREVIOUS SHOW. Tarot last week took over the show with a strong message about the importance of working with the Earth and not exploiting it. This message continued this week. We got the High Priestess; again stating that things would happen that we would not understand. We have to have faith in the wisdom of the Earth and the Universe when such things happen. We also got the Lovers again; we talked about making choices that are good for the here and now and not thinking about long term consequences. We also got Strength; reminding us we are a resilient species. However, we have to remember that the planet itself exhibits tremendous power; power that we must learn to revere. The only other card that was in Synchronicity that was new was the 4 of Pentacles. We were surprised at its appearance. It is the card that says that money or material wealth may save the situation. The Reading Room interpreted that again someone may step up with financial or material resources thinking the can fix any damage done. 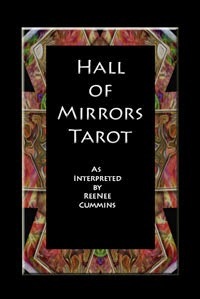 The Tarot dismisses that idea, as did the reading room. Blogger’s Note: We haven’t read on Bigfoot because most of the readers who participate are believers. I was concerned that the strong belief in a topic may influence the results. However, this reading came from two new, different angles in the hunt for the elusive creature – first, researchers have noted that many of the pictures taken by witnesses are blurry. This could add a level of paranormal to the sightings that no one had anticipated. Many times paranormal investigators are plagued by blurry photos when the equipment they used to create the photo was carefully checked out and set up before the photo session began. The other new angle – equally intriguing - was that UFO activity either preceded the sighting or followed it. Some witnesses even claimed to have seen the beasts swept up by the UFO! Now, were these two angles actually new information, or are they being introduced to keep the public’s interest up in an old topic. We asked Tarot. Readers for this session included: Mary Nale, TarotDactyl (Mary Brown), Jean Maurie Puhlman, Ivy Lieberman, Camille Kea, and ReeNee Cummins. There was one strong message from Tarot – leave Bigfoot alone. Tarot was very dubious about humanity’s interest in the creature. The cards described the creatures as loving to their own kind; living happily in tribes far away from mankind (synchronicities from the 3 of Cups and 10 of Cups, both cards of joyous, carefree living). TarotDactyl drew an animal oracle card and got “power, loyalty, leadership, family,” which was confirmation of how we saw the tribes. We drew the King and Queen of Hearts in synchronicity as well as the King and Queen of Wands in the same synchronicity. This again speaks of a loving family environment; however we would see it as primitive (King and Queen of Wands are very pragmatic, solid foundation – but back to basics). We pulled the 3 of Swords in synchronicity. This indicated to the Reading Room that the current way we pursue their tribes is heartbreaking to the Sasquatch. This is a matter of understanding. They do not understand why we act as we do. We mock the calls they make and chase them with strange lights and equipment, but nothing that would indicate friendship. Ivy Lieberman drew the High Priestess, 8 of Swords, King of Pentacles and divined “Definitive attention will bring turmoil....we don't understand and are not meant to....leave it alone!” Ivy also got “if my species were close to extinction I would do my best to stay a secret, away from the other destructive species. Mary Nale got “Bigfoot(s) just don't want to be bothered. Reclusive.” The King of Pentacles was drawn. This is the guy who wants to throw money to solve a problem (or create a TV show or movie). The Major Arcana we pulled carried on the same theme. We got Strength, indicating that the Sasquatch has a strong desire to survive. We got Death, which matches with the cards/interpretations we got about their numbers dwindling. We got the Hanged-Man. There are two meanings here; in fact this card is a bridge between our past action and a new future. First, we are pushing the Bigfoot back further into the wilderness as we develop more and more land. Second, the Hanged Man talks about seeing things in a new way. We also got the Judgment card in synchronicity. This is a wake up moment. We can gather information about sightings. We can track were these sightings are. But we don’t need to form “hunting parties” to go out and track them down. One of the hottest discussions in the Bigfoot investigation community is “should we just shoot one, and end the question once and for all?” The next question will be is one enough? Or even worse, how much for a Bigfoot carcass that can be stuffed and sold? Jean Maurie did angel card work for this reading. We were told we needed to make choices of the heart. The King of Gabriel, told us to “keep your eyes on the big picture.” The King of Michael told us “that wisdom and objectivity are important now”! So the Tarot indicated that they are a real, sentient being that shares the planet with us. There was nothing pointing to the paranormal about the photos, just people being extremely excited or scared when taking the photos. The UFO connection leads the Reading Room to conclude that their abduction experience is the same as ours. In, fact, aliens may be trying to figure out what the link between the two species is. After our first show on Tesla, I produced a blog about what Tarot had disclosed. I had planned on one more show, based on Tesla’s belief that there was a cosmic energy force that he was about to tap into. His laboratory in Colorado had produced and early solar cell; he had joined these cells together, and was producing electricity. So that became the second question – had Tesla seen solar as the energy source, or was he truly looking deeply into the cosmos, and had figured out how to tap an unknown source or perhaps dark energy itself. The reading Room included: Anita Perez, Jean Maurie Puhlman, Ivy Lieberman, and ReeNee Cummins. We had some great commentary from a regular listener – Supernatural Radio on the topic as well. Our discussion and questioning about Tesla’s source lead to so interesting psychic interpretation of the man himself. Jean Maurie stated that he was an “old soul,” something the rest of the Reading Room readily agreed with. Supernatural Radio commented “I think he knew much about other worldly energy.” Ivy Lieberman drew cards that were interpreted as “he was being guided by the Cosmos; the universe was pushing him with his work.” We pulled the Moon in synchronicity again. The Reading Room had agreed on the previous show that this pertained to Tesla’s psychic abilities, and that some of his ideas were other worldly. This also caused problems as he grappled to bring other dimensional technologies into this one. One card was a serious carry-over from the previous show. The 9 of Swords came up again in synchronicity on this show – Tesla was deeply disappointed about how his vision turned out. We had strong showings from the King of Swords and the King of Pentacles; Swords represents the military and it’s fascination with Tesla (something he abhorred) and Pentacles represents the capital and backers that Tesla drove away with his talk of “cosmic energy” and other more esoteric ideas he had. We then went back to the idea that Tesla had experimented with solar energy. We talked about that both it and wind energy, while not free, were far healthier for the planet. We talked about advancements in solar and wind energy making possible for average home owners to use these devices to cut their energy bills drastically. We asked if there would be an energy revolution using solar or wind. The Tarot was insistent that old forms of energy would continue to be used; the official policy will be of a society familiar with what is shown to be good on TV adds. This doesn’t mean that people (especially younger people) won’t move away from the old technology and onto new. There will reach a point where savings outweigh nostalgia, and society moves forward. The final card we pulled in synchronicity for this show was the World. The Reading Room saw so many ways how this card affected this situation. First, there is Tesla’s idea that we should share and promote equanimity among all the inhabitants of the planet. This was one of the foremost ideas driving his ideas. We all agreed that using basically free power sources (solar and wind) we would be helping the planet. While it would never completely be free because of the cost of the machinery to capture and distribute the energy, we could and would save both the environment and money by not buying fossil energy to generate energy to run our lives. While researching Tesla’s solar cell, I ran across the writings of someone who we had discussed on an earlier edition of U-Predict, Christopher Dunn. Christopher Dunn is a fascinating individual. He started out working in a machine shop learning to machine stone and metal, as he matured, he studied more and more on how to best do the machining. His interest in machining lead to a fascination with archeology – especially sites that showed incredibly fine machining. One if his main fascination was with the Pyramids of Egypt. He wrote several articles about how Tesla’s ideas could be applied to the structure of the Pyramids in an attempt to prove that they were power plants. While we had discussed the idea that Egypt had a public power supply, Tarot explained that our technology nowhere matched it; and that with our science we couldn’t understand it. However, here was an interesting angle to investigate. Had Dunn discovered the corollary between the two power systems? This was the question for the third show. The Reading Room included: Jean Maurie Puhlman, Mary Nale, Koneta Bailey, Camille Kea, Patti Phare Camp, and ReeNee Cummins. We were joined by new reader Pfishgirl and WalkWithSpirit who has read with us before. As had been mentioned in the previous show, we had done a reading about the Egyptian power source, and Tesla’s name had come up as part of the discussion. We also got more psychic impressions about Tesla himself. Mary Nale said she saw someone who got his ideas in dreams. During the first show, we had introduced the idea that Tesla saw his dream inventions clearly enough to build them without plans. Many impressions of Tesla echoed the 9 of Swords which had been synchronistic in both previous shows. Patti Phare Camp intuited that “Tesla was struggling with the technology; I think he abandoned it because he came to understand the technology was flawed.” Mary Nale added that “I feel like none of the information was what he thought it would be.” This also was an echo from the previous show where we discussed the difficulties of reproducing an energy source he saw in the Cosmos back here on earth. One had to wonder if he had misinterpreted what he was receiving as something more mysterious when it was simply sunlight. Koneta Bailey claimed she “heard” that from the cards she pulled several times. Both Patti and Jean Maurie also talked about that Tesla being so far advanced as to have a hard time communicating his ideas to other human beings (this fact is historically proven by the number of investors he lost when he began to give them a complete picture of what he was trying to do with “cosmic energy”). Instead of the 9 of Swords, we pulled the 3 of Swords – this speaks more of personal heartbreak. Mary also saw a young man about 8 or 9 who spoke no English who would carry on the work. ReeNee announced that the Russians planned on completing some of Tesla’s work and would be building a tower like the one at Wardenclyffe ( http://inhabitat.com/russian-physicists-launch-campaign-to-rebuild-teslas-wardenclyffe-tower-and-power-the-world/ ). The King of Pentacles again showed up in synchronicity, reminding all of the need of a financial backer. However, both the Queen and King of Wands showed up in synchronicity. Several readers wondered if this is the Clintons. Hillary doesn't have to run for president to make this happen; they have The Clinton Foundation, which was created to tackle the world’s problems. Bill and Melinda Gates also share control of the Gates Foundation. So here are two power couples who would be very interested in any technology that helped all of mankind. Both foundations are interested in new ideas and new ways to solve ancient problems. This matches the spirit and energy behind the King and Queen of Wands. There is archaeology, and then there is rogue archaeology. Neither match the romantic idea of Dr. Indiana Jones – archaeology is slow and laborious. Currently, the most published and televised data supports the ideas that have been around from the last century; the Egyptians were obsessed by the afterlife. They preserved the bodies of the royalty. They built massive pyramid-shaped tombs for these royals. It’s in elementary text books – It was there in the 60’s when I was in elementary school, and it hasn’t changed. Then there is rogue archaeology. These are the “crazy like a fox” archaeologists who notice things like “gee they never found a body in the crypts in the pyramids”; and “it would have taken the Egyptians over 2000 years to build the pyramids – not the 20 as recorded in the text books. Names like Graham Hancock and Carmen Boulter, PhD lead the field. Regular science is outraged by their theories, and the support they are gathering. So against this background U-Predict asking an interesting question “Did the ancient Egyptians have electricity?” Psychics that participated in the Reading Room included: IvyLieberman, Latifah Abdul'laah (Underland Tarot Musings), Jean Maurie Puhlman, Anita Perez, Elizabeth Dennan, Becky Graywolf (WindLady) ReeNee Cummins, and Dax Carlisle. The first question was “Did the Egyptians build the pyramids?” Most of the Reading Room felt that the pyramids were much older – that they were inherited or claimed by the civilization that we think of as the Egyptians. The second question was “Does archaeology give us a correct picture about the use of the pyramids?” The readers indicated that science wanted to keep the whole thing tidy, and to continue down the same line of research, while ignoring things they couldn’t explain. We had our first Project TAROT moment with The World card; one being upright, the other reversed. This was Major Arcana proof of what we had been talking about. One World showed us that we had a complete theory of the civilization; the other showed that there was a whole theory and research yet to be pursued. The Reading Room turned its attention to the work of Nikola Tesla. Because Tesla theorized other ways of generating/distributing electricity, many of the rogue archaeologists look to these theories to expand the possibilities that the Egyptian civilization was much more advanced than defined. The Project TAROT moment came with the Tower card. There was amusement, as Tesla’s theories utilized towers to distribute electricity. However, a deeper meaning of the Tower card is a person who truly shakes things up. Tesla’s theories definitely did that – and now they are being revisited to see if they are more efficient in energy transmission/distribution. The next two questions flowed together: “Were the conditions right to generate electricity with the pyramids 10 – 15,000 years ago?” and “Were electric power tools used to cut monuments in Egypt?” The Reading Room identified that there was a power source, but that it would not be understood by our level of science. This would explain why few archaeologists would recognize the technology. The Reading Room identified that the lasers were used to cut/shape the stones. Jean Maurie identified the laser tools, and Dax immediately got confirmation with a yes/no spread (5 cards to the yes). This is one area that the rogue archaeologists focus on – the fact that the stone work from ancient Egypt is so fine and accurate. At this point Anita Perez called in and talked about some past life work she had done with a group of people. She had talked about being in a chamber and using the resonance of the chamber and a crystal to amplify energy. She said that the group of people weren’t sure that they had the proper technique. ReeNee told the listeners that chambers exactly like those Anita described that had been discovered by Dr. Carmen Boulter. These chambers had used resonance. However their actual purpose remains a mystery. The final two questions: “Will hard evidence ever arise about advanced ancient civilizations?” and “Does science understand that it is hurting its authenticity with its current theories?” are best answered by the Project TAROT moment cards for the entire show: Five of Cups, The World, The Hierophant, and The Lovers. The Five of Cups is about disappointment. The rogue archaeologists are disappointed that their ideas are ignored. Mainstream archaeology faces the disappointment of disappearing funding for expeditions, no support from Middle-Eastern governments to do research, and the destruction of potential sites by desert nomads. Overall disappointment from a collective consciousness standpoint is that we want to know. People are interested and are getting more interested in the unexplained artifacts in the world. This now refers to The World card. How would our world change if we had knowledge that there had been an advanced civilization all over the planet that was somehow destroyed? Would this become a focus of the current civilization – finding out what happened? Or would most people want not to be bothered with ancient problems or disasters. The Hierophant represents traditional science. Science is already dealing with the rejection of evolution by fundamentalist religions; what would be the result if long established facts were overturned in another discipline? This was a very interesting show. The number of synchronicities was small – but they told the crux of the situation with Tesla. We began with the premise that Nikola Tesla chose to live in hotel rooms. That there were more than a dozen boxes of Tesla’s belongings left behind at hotels like the Waldorf Astoria, the Governor Clinton Hotel and the St. Regis that were sold to pay off Tesla’s outstanding bills. Most of these boxes and the secrets they contained have never been found. What major discoveries were lost in these papers? Tarot answered with the concept that the man was ahead of his time, someone who wanted to make life fair for everyone; a mystic who had feet planted another dimension – and he wanted to share this other dimension with the public. This assured that Tesla was seen as “unusual” if not down-right weird. Because of these things, he was taken advantage of and misunderstood by most people. The Reading Room for this show included: Anita Perez, Jean Maurie Puhlman, Camille Kea, and ReeNee Cummins. We welcomed SeerJane as a new reader for this show. When Tarot was asked to explain Tesla, we were told that his whole purpose was to close the gap between the haves and the havenots. He felt that energy was the cause of the great divide. His purpose was to come up with ways to make energy cheaply or free for every person on earth. Because he was so concerned about making life as fair and good as he could, he really didn’t care personally if people stole his ideas or lied about his purpose. He worked with the identified geniuses of his time. However, both Edison and Westinghouse stole his ideas. He became involved in mysticism, visiting several Indian gurus when they came to the New York area. Anita Perez mentioned that Krishnamurti was popular at the time. Tesla became fascinated with ancient Buddhist and Hindu text from India. In these texts he found the Sanskrit metaphysical terms for the different kinds of energy and forces in the Universe. It opened up his understanding of energy of all kinds. However, he saw no difference between the electrical experiments that he was describing to investors and his metaphysical investigations. Many investors saw him as a lunatic for these discussions. It is one of the ways he got the name “mad scientist” as well as lost many, many investors. We asked about his involvement with the US government and deadly weapons. The Tarot told us that Tesla understood the power of the energy he experimented with and did not want people killed by his discoveries. He actually sent copies of some of his experiments to several governments around the world so that no one would have the only weapon built from his designs. We asked if the US Government had designed the High Frequency Active Auroral Research Program (HAARP) based on Tesla’s work. The cards were adamant that Tesla had not intended any of his work to be used for any kind of weapon or have any military purpose. The Tarot indicated that some of his concepts may have been conscripted by the military; Tesla himself had not intended this to be the case. Anita said she was part of a channeling group that tried to contact Tesla, but al they got was the smell of pot roast. ReeNee reminded everyone that he lived in hotels, and that may have been a favorite food! We asked why his documents had never turned up. We got the Moon and Death Reversed. Tarot indicated that there was nothing but treachery surrounding these documents. We also asked if it took his genius to make his experiments work (it was claimed that he had a photographic memory, and that he dreamed inventions so real that he could get up and draw up plans for the inventions from his dreams). The cards indicated that he was a very unique man; however, there will be others (perhaps even a reincarnation) that can follow in his footsteps. I’ve lost count of the people I’ve met who claim they lived in a haunted house. At a major aerospace plant in California, I dealt with a haunted building (employee hung himself at the end of the Apollo program). The Queen Mary in California and Ashley's restaurant, both on the national register of haunted places, are two of my favorite places. But our pop-culture fascination with ghosts started with a pair of plumbers. Most people laughed at the idea that Roto-Router guys could find ghosts. I didn’t. I’m a contractor’s kid. I know how old buildings can trick you - creaky woodwork, bad plumbing, and all sorts of things that could fool an occupant. In fact, I thought it was pretty cool that these guys were willing to go up against public scrutiny. I don’t know why it took us two years to decide to ask about ghosts and hauntings on U-Predict, but the results are interesting, with a lot of wisdom. The Reading Room for this show included: Anita Perez, Jean Maurie Puhlman, TarotDactyl (Mary Brown), Camille Kea, Ivy Lieberman, and ReeNee Cummins. We started with the basics. Yes, ghosts are the electromagnetic signature of a deceased person. However, Tarot was quick to tell us that there was a strong emotional component to a ghost. In fact, as the reading unfolded, it became obvious that it is the emotional component that is the most important part of a “haunting.” First, we had an abundance of Knights (Cups, Wands, and Pentacles). Knights are an adolescent energy. It is a sign of broad energy swings – usually on verge of being out-of-control. We also drew the King of Swords -the warrior. This synchronicity is interesting because of the number of hauntings that involve soldiers. We also had the Ace of Swords and the Ace of Cups - both cards focused on big ideas and big emotion. So there was the description of a classic haunting – a person who had been through a traumatic emotion experience or feels they have something to communicate. The reading room discussed intelligent hauntings (where an entity interacts with the living), and residual hauntings (where something is imprinted on space/time but is replayed over and over). We brought up the idea of a person being haunted; someone being bothered by a ghost even if they move several times. The cards were quick to bring a warning. A person must know how to protect themselves psychically before they become involved in any way with ghosts or ghost hunting. We pulled the Empress several times when we were talking about this question. This a card of love and protection; the definitive answer came when TarotDactyl announced that in the Ghosts & Spirits Tarot deck she was using, the Empress was the "Guardian Spirit." It was discussed that the ghost could be discouraged to stop the haunting, but that the person being haunted would have to have a great deal of emotional strength and courage to stop the event. In fact that was another point the card made, the more people emotionally interact with an entity (especially with the jolt of energy released with fear) the stronger the entity can become. The cards also stressed this when we asked if going on a ghost tour was completely harmless. Again, the cards were quick to make sure you are dealing with professionals and then make sure that you are grounded and shielded before going on the tour. The Reading Room also talked about the idea of “hauntings” being caused by many types of spiritual beings. We talked about the fact that there was the elemental kingdom full of entities who liked to play tricks on mortals. We talked about the idea of poltergeists, and that people may have psychokinetic abilities that are triggered by strong emotions, while they have no idea that they are the cause of the activity. We asked about “sending entities to the light.” Is it permanent? Is it necessary? The answer we got from the cards is that reality is more porous than most people realize. We got the 6 of and 9 of Wands in synchronicity. The six speaks to the societal aspect that ghosts are drawn to the living. The 9 speaks about treating these souls fairly. Some ghosts may know something is very wrong, but don’t know they are dead. These souls are very happy to cross the veil, and will not return. Jean Maurie pulled an Angel Tarot card on this topic and got the 5 of Gabriel “you needn’t go through your current challenges alone. Help is nearby! Negative thoughts create self-fulfilling prophesies." Ivy Lieberman got “there will be a moment of thought then you will be directed to the proper place to go. Perhaps hastened along.” Others, however, are well aware of their situation; they are either drawn back because of the emotion or a few just seem to enjoy hanging (or messing) with the living. The Tarot also talked about ghosts being drawn to the living who may have an addiction. The emotion in participating in the addiction is the attraction. The point the Tarot is trying to make is that you have to look at how your behavior is attracting the entity. Ghost hunters should treat the entities with respect; no need to bait to get a response. If a ghost chooses not to move on, the living need to decide how they are going to exist with the entity (if they can). There were 3 Major Arcana cards in synchronicity - The Fool, The Empress, and The Lovers. In a previous paragraph, we talked about The Empress as being protective beings as a part of shielding before engaging with entities. The Fool speaks to the forgiving nature of the Universe. Tarot said that some spirits had problems moving on because they felt unworthy to have an afterlife. As society reports more on experiences with the afterlife, and the interest in Near Death Experiences grows, hopefully people will realize that they can move toward the light no matter how traumatic their lives have been. With the Lovers, both archetypes apply. There is the archetype of romantic love (again, the idea of strong emotion) and well as making the choice to go to the light. By far the most moving part of the show was when Camille Kea talked about seeing her grandmother’s spirit leaving her body when she died. The Reading Room agreed that it was a profound experience. The experiences of the Reading Room always add astonishing personal experiences to the topics we discuss. To celebrate the refurbishment of the Arecibo Radio Telescope, it broadcast a special signal into space on November 16, 1974. The transmission of 1’s and 0’s can be arranged into a diagram showing, among other things, a human stick figure, the solar system, the telescope itself and the DNA molecule. In August of 2001 a crop circle appeared close to the Chilbolton radio telescope in Hampshire, England. It was quickly named "The Arecibo reply", as it seemed to be exactly that; a reply to the Arecibo message, describing a different alien race. Despite years of attempts of debunking, there is no firm evidence that it was a hoax. The Reading Room for this show included: Jean Maurie Puhlman, TarotDactyl (Mary Brown), Camille Kea, Ivy Lieberman, and ReeNee Cummins. First, when we talk about space and the idea of extraterrestrial contact on U-Predict, the Tarot has a unique way of acknowledging that the subject is definitely galactic – we get The Sun, The Moon, The Star and The World pulled in synchronicity. Such was the case with this broadcast. Despite little public interest in this case, Tarot tells us to reconsider what we have received. Many people point out that 80% of crop circles are hoaxed, but in the book, “On the Edge of Reality” by Colin Andrews, Mr. Andrews tracks down and talks to human circle makers. Many, describe seeing the circle they are about to make in a vision or dream or while meditating. Many feel that they are contacted by the authentic circle makers and are instructed to make the design. This adds a very interesting dimension to the whole dynamic of circle making. Are these folks experiencers of the 5th kind – those who are contacted telepathically by extraterrestrials? The Tarot pointed out that The Hierophant would be “heartbroken” (3 of Swords in synchronicity) to find that there is a whole other dimension to life that we seriously need to consider. To make this case even more fascinating, about a year later, in a nearby field, another crop formation appeared. It resembled what most would consider a “Grey” alien, and it held something that turned out to be a disk of binary code. Using the ASCII characters to translate the digits the message decoded was "Beware the bearers of FALSE gifts & their BROKEN PROMISES. Much PAIN but still time. (Damaged word). There is GOOD out there. We OPpose DECEPTION. Conduit CLOSING (BELL SOUND)". (Formatting per the decoded message). After discussing the second message, we pulled both the 2 of Wands and 3 of Pentacles in synchronicity. Together, this could indicate a message sent; a very important message that could be classed as a formal diplomatic document. In the same line of thinking, we pulled the 4 and 5 of Cups in synchronicity. The four is telling us that our way of seeing the world is dissatisfying and the five is saying that our view is down-right disappointing. We are told to watch for deception. Could this refer to how alien races have shaped humanity? How we have developed our fierce ways? Could this be “mom and dad” telling us to “cut it out?” Oh, we also pulled the Queen of Cups at this time. In the past, this has always been another signal that something out there loves us and wants to best for us. Ivy Lieberman and TarotDactyl had interesting points on this second message. Ivy wondered if this was a renegade trying to warn us. TarotDactyl said “I don't think the Emperor wants us to have the magic - governments would try to keep us separated from alien help...” This is a common belief among many people that this is exactly what is happening. It would also explain why these incidents have gotten so little press and have been dismissed when brought up for discussion. Jean Maurie pulled angel cards for this reading. The 6 of Raphael told us to “reach out and make new friends.” The 5 of Gabriel tells us that we have a challenge to resolve, but to avoid drama in doing so. And then we got “2 of Gabriel - make bold and ambitious choices! Great progress is possible. Important relationships with people who share your vision. This is a good message.” Doesn’t the angel message sound similar to the alien message? U-Predict! I know this is dangerous ground; to many people the idea of mixing the tarot and anything to do with the Bible is blaspheme. But since the early beginnings of U-Predict, we have been using the synchronistic archetypes that readily appear when tarot readers read simultaneously to look at the archeological mysteries that cover our planet. To move to the archeological mysteries surrounding the Bible, one of the most mysterious books on the planet (who actually wrote it, when was it written, and what was left out) was just a natural follow-on to previous experiments. And the news cycle was ripe; first we had the U-Predict broadcast on April 22nd to determine if a small scrap of papyrus had been discovered that strengthened the argument that Jesus had a wife. A few days following that show, a U-Predict regular, Mary Brown sent me some interesting articles that talked about how little archeological evidence there was that there had been an exodus out of Egypt by hundreds of thousands of Hebrews. I put the blogs together because they are two different sides of the same coin; a relic that sheds doubt on a New Testament story that is told and the lack of relics that puts doubt on an Old Testament story that is told. 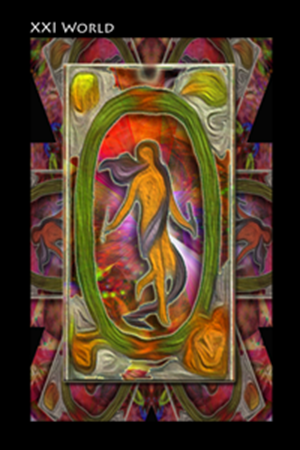 What is most amazing is what happened when Jean Maurie Puhlman added Angel Tarot card to the mix. The angels gave us the best advice about the entire book itself. The Reading Room for the April 22 show included: The Reading Room included: Ivy Lieberman, Jean Maurie Puhlman, Ivy Liberman, Mary Brown (Tarotdactyl), Becky Greywolf, Anita Perez, Patti Phare-Camp, Camille Kea, and ReeNee Cummins. “ On September 18, 2012, HDS Professor Karen L. King announced the existence of a papyrus fragment dubbed “The Gospel of Jesus’s Wife” at the International Coptic Congress in Rome.” (Harvard Divinity School, http://gospelofjesusswife.hds.harvard.edu, April 10, 2014). The cards immediately began discussing how upsetting this idea is to the status quo. ReeNee Cummins talked about how that some of the other professors at Harvard Divinity School and elsewhere did not see the idea of “wife” in a modern context; that these women were seen as other servants of God, and would not have conjugal duties. Ivy Lieberman brought up the idea that everyone seemed stuck on Mary Magdalene as his wife, when it could have been another woman. The cards demonstrated just as much disruption would be caused if early Christians had powerful women disciples who preached the same as the men. Of course, The Hierophant was the most visible of all the cards. This is the card that represents tradition, and/or a large contingency of people and institutions that want to keep it that way. 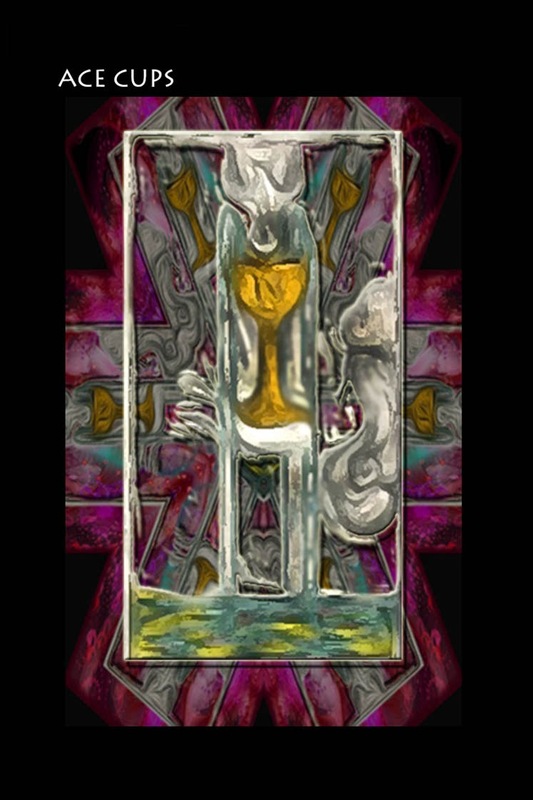 The 6 of Cups, which speaks of preserving things and nostalgia also figured prominently. What we surprising was the fact that the Death card also showed up in synchronicity. To most in the Reading Room, this spoke of the transformation that would happen if women we given their real place in the history that is described in all of holy books written at this time. Tarotdactly talked about the Shekinah, a word that “just popped into her head. ReeNee defined it as the “feminine face of God” that seemed to be lacking in this discussion – and all discussions like it. The rest of the Minor Arcana were cards of arguing and dissension. We had 5’s of Wands and Swords; we also had the 8 of Swords, a card that talks about being bound up in thinking a certain way. In fact, the 8 of Cups figured prominently in BOTH readings, telling us to get past these points and move on. Jean Maurie’s Angel card chastised us for losing the real message – that of loving our neighbor and having compassion for all living things. This is not the first time that we have gotten this message when we have spoken about Jesus. It may be the tarot, but it is much more spot-on than many modern clergy; it was his message and the application of the message that was most important. And so we moved on to the show on The Exodus from Egypt on the 29th. The Reading Room for the April 22 show included: The Reading Room included: Ivy Lieberman, Jean Maurie Puhlman, Ivy Liberman, Mary Brown (Tarotdactyl), Anita Perez, Patti Phare-Camp, Camille Kea, and ReeNee Cummins. “Is there mention of the Israelites anywhere in ancient Egyptian records? Other research turned up similar comments about lack of evidence. So we began by asking if there was a recording mistake, and the actual events happened further back in history. Anita Perez reminded everyone that if we followed the matrilineal lines, we may have a more accurate picture of history.